Cranberries lead singer Dolores O’Riordan performs during the European Border Breakers awards, or EBBA awards, in Cannes, southern France, last year. 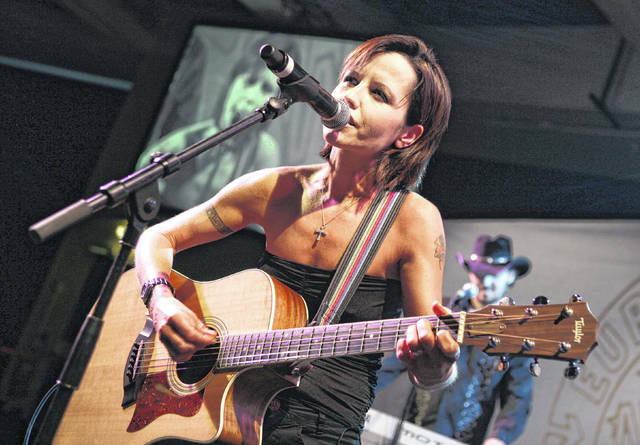 O’Riordan, lead singer of Irish band The Cranberries, has died at the age of 46. LONDON — Dolores O’Riordan, whose urgent, powerful voice helped make Irish rock band The Cranberries a global success in the 1990s, died suddenly on Monday at a London hotel. She was 46. “No further details are available at this time,” Holmes said, adding that the singer’s family was “devastated” by the news. “To all those who follow and support Irish music, Irish musicians and the performing arts, her death will be a big loss,” Higgins said in a statement. The band’s songs — on which O’Riordan was chief lyricist and co-songwriter — had a Celtic-infused tunefulness. And in O’Riordan they had a charismatic lead singer with a distinctively powerful voice. The members of The Cranberries reunited that year, releasing the album “Roses” in 2012.